First annual Fort Point Channel Open. What: A day of sprint races in Boston Harbor, rowing the Hull Lifesaving Museum's gigs. 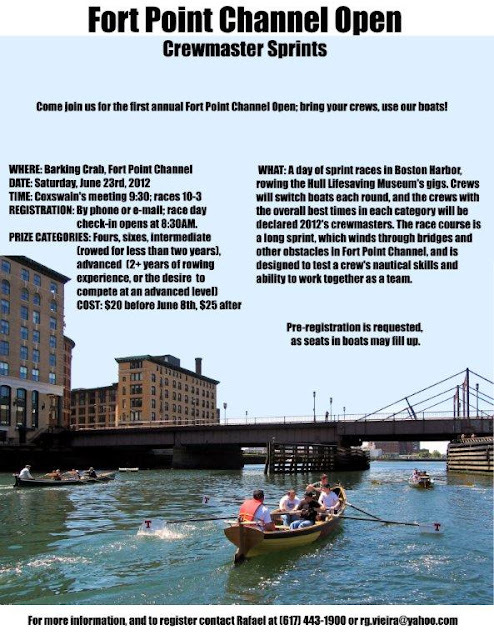 The race course is a long spring, winding through bridges and other obstacles in Fort Point Channel.